SUV mania has gripped the world with almost everyone, everywhere, wanting them. But many SUV's are also big and powerful and not the most eco-friendly machines on our planet. Greens all over, including our NGT (National Green Tribunal) have been screaming blue murder against large SUV's and many manufacturers have started making more hybrid and electric vehicles, that are less damaging to our ozone shield. 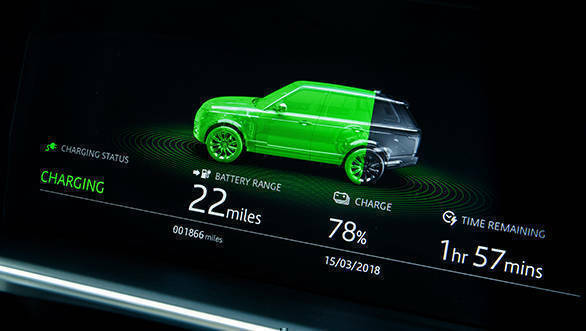 Land Rover also recently introduced their first ever plug-in hybrid Range Rover, the P400e, in an effort to reduce their contribution to climate change, greenhouse gases and global warming. Of course our government in India is still to acknowledge the benefits of hybrids by giving them some concessions and tax breaks, so it's quite unlikely that we will see the new Range Rover P400e anytime soon. But Land Rover is obviously quite proud of what they have achieved with it, and kindly invited us to have a go at the Range Rover P400e in the U.K.
Our introduction to this somewhat nature friendly Range Rover was at the Blenheim Palace, which is home to the 12th Duke of Marlborough and the birth place of Sir Winston Churchill. 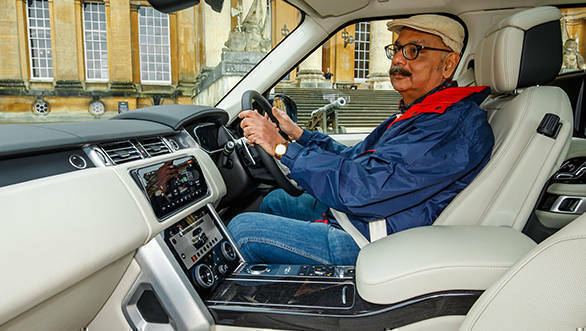 Blenheim Palace is a masterpiece of Baroque architecture, and a UNESCO World Heritage Site boasting a long and diverse history and there could not have been a better setting to meet Land Rovers' latest, the Range Rover P400e. Ever since Land Rover introduced the original two-door Range Rover (now known as the 'Classic') in 1970, it has been acknowledged as the world's finest and most capable SUV. Almost, for the last 50 years, Range Rover's have been the benchmark for any luxury SUV maker, and the new P400e may have just raised the bar again by incorporating the advantages of an electric motor. Elizabeth Hill, the Chief Product Engineer shared many details about the Range Rover P400e PHEV. A Plug-In Hybrid Electric Vehicle (PHEV) combines a conventional engine with an electric motor and a battery. It is primarily charged when stationery from an external power supply like an electrical socket. It also uses regenerative braking for charging the batteries while on the move, and the system seamlessly selects and blends the engine and electric motor to deliver optimum performance and efficiency. This is presently the most effective known hybrid system. Other hybrids include MHEV, a mild hybrid system that gathers and stores energy normally lost during vehicle deceleration and intelligently redeploys it to assist the engine. There is also the HEV or a Hybrid Electric Vehicle powered by an internal combustion engine with an electric motor and battery pack to improve efficiency. Here again the battery is charged via regenerative braking. This energy is created by the regenerative braking process, which captures and stores kinetic energy in the battery. Then you have the pure BEV or Battery Electric Vehicle with no conventional engine. It's only powered by an electric motor with a battery. To recharge it one has to use a plug-in charge point and a BEV achieves zero tailpipe emissions. While BEV's are getting more popular, engineers are still working to improve its range and reduce the charging time. Given the presently available technology, a PHEV is the most practical option and Land Rover has gone to great lengths to ensure the P400e PHEV retains all the core qualities of a Range Rover while also reaping the benefits of electrification. 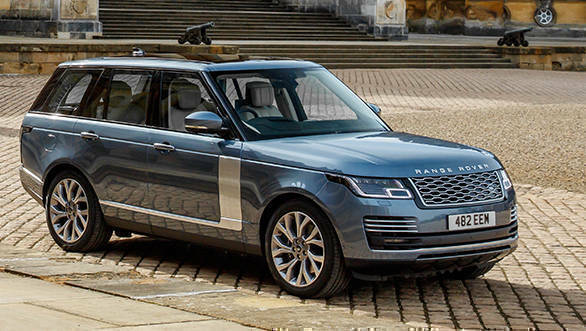 The Range Rover P400e PHEV delivers a combined output of 404PS, using the combination of a four cylinder, 2.0 litre, Si4 Ingenium petrol engine delivering 300PS and a high capacity electric motor generating 114 PS. Torque is a considerable 640 Nm and the P400e gets from 0 to 100 kmph in 6.8 seconds and has a top speed of 220 kmph, which is really remarkable for a large SUV weighing 2509 kgs. The fuel efficiency in the EU combined economy is claimed to be 35.7 kmpl, which is also quite outstanding. Of course in real life typical Indian conditions its bound to be less, but still it's a notable fuel economy figure. You can choose various driving modes like parallel hybrid mode (the default driving mode) which combines petrol and electric drive or the full electric drive of EV (Electric Vehicle) mode. In pure EV mode the P400e PHEV has a range of up to 51kms and the top speed on just the electric motor is 137kmph! There is also a save mode where you can decide not to use the electric power and this enables one to conserve the battery's range for when it's most needed, like in heavy traffic city commutes. And if you opt to drive in this mode, then the regenerative braking and energy captured while coasting, keeps charging the battery. There is also a most interesting GPS based mode called Predictive Energy Optimization (PEO) mode. 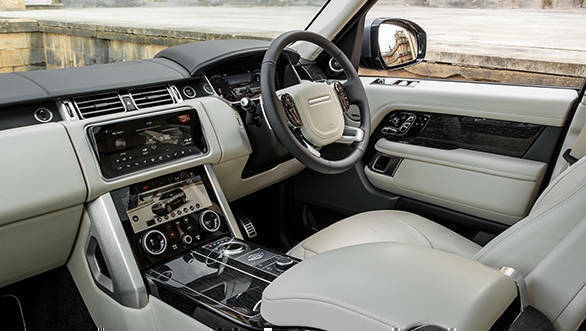 You basically feed in a destination into the navigation system, and the Range Rover P400e PHEV's computer studies the GPS map data and calculates just how much electrical and petrol power you need to reach your destination. It then automatically keeps shifting between the petrol engine and electric motor to achieve the best fuel economy. The lithium-ion batteries take about 7.5 hours to achieve a full charge from a normal power socket and just less than three hours from a 32-amp fast-charger. 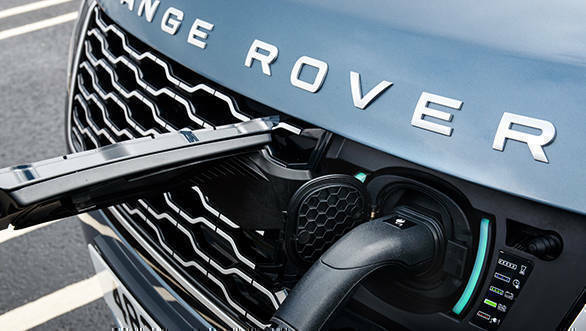 If and when the Range Rover P400e PHEV's battery gets drained and runs out of juice, the petrol engine takes over completely, but there is always enough electrical energy in reserve to provide that additional surge of force when required. Range Rover's earlier hybrid was powered by a diesel engine, but the shift to petrol has made sure that refinement standards are very high. The engineers have also strived hard to ensure the changeover between petrol engine and electric motor is seamless and smooth, and the 8-speed automatic also makes certain there are no jerks or sudden surges or drops in power. In fact so undetectable is the swap from petrol to electrical that you have to concentrate hard to spot the switch. To its credit, the four-cylinder petrol engine is fairly quiet and refined, but those habituated to driving with the bigger V6 and V8's, may miss their more deeper and throaty sound. As we know, electric motors are almost inaudible and driving the Range Rover P400e PHEV in EV or electrical mode feels a bit eerie and strange in the beginning. When I got into the P400e at Blenheim Palace and pushed the engine start button, initially I never even realized the electric motor was on and the Range Rover was ready to move. It was only the ringing of a kind of warning chime that alerted me. On selecting D on the rotary dial we moved forward so imperceptibly, that the silence in the passenger compartment was actually deafening in some ways. Years of driving fossil fueled cars, had left my mind programmed to receive the internal combustion engine clatter that was completely missing. Yes, in pure electrical vehicle power mode, the Range Rover P400e PHEV has one of the most silent passenger compartments ever. The fact that it's so luxuriously laid out and pampers you with the best materials, workmanship and exceedingly comfortable seats, especially up front, makes it only that much more welcoming. 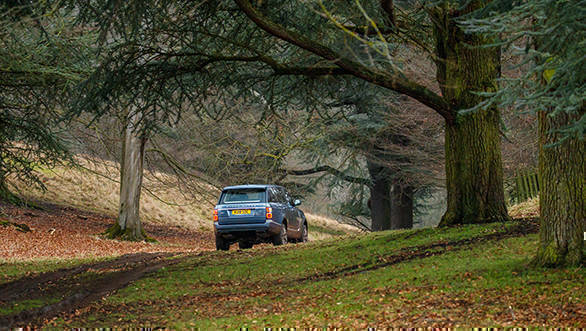 Driving around the vast Blenheim Palace complex in this Range Rover, I actually fell completely in love with the haunting stillness and the majestic manner in which the P400e glides over almost all surfaces. Range Rover's have always been famous for their ride comfort, and the latest PHEV is no different. 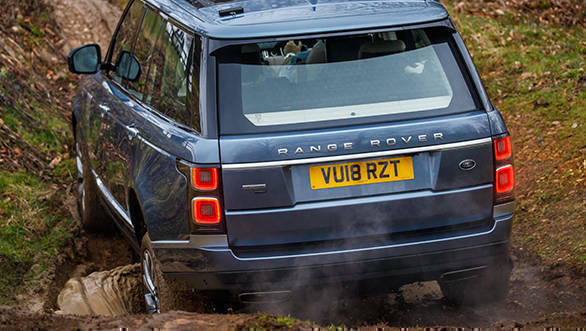 The long travel air suspension soaks up everything splendidly, and is brilliant not only on tarmac, but also off-road. 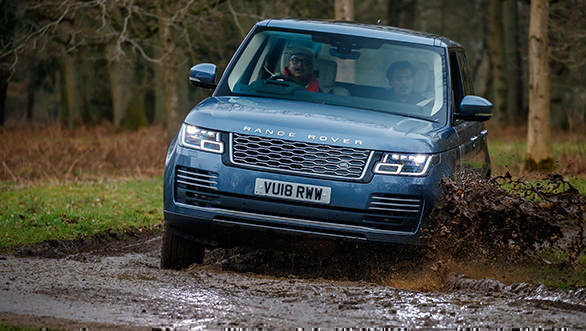 Apparently, when Land Rover engineers set out to make the Range Rover P400e PHEV, their brief was to keep intact the all-terrain capability, which is part of this SUV maker's DNA. 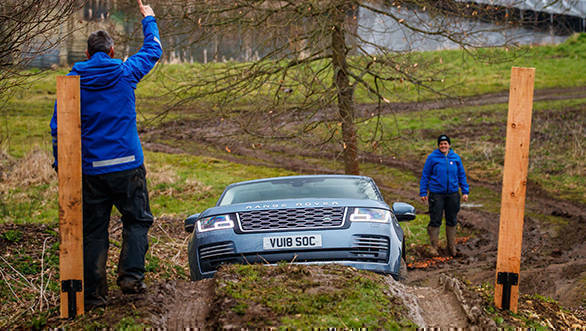 On our drive in the Blenheim Palace grounds and through the dense forests lined with age old oak trees, we also drove across a fairly deep stream that tested the fording ability of the P400e. 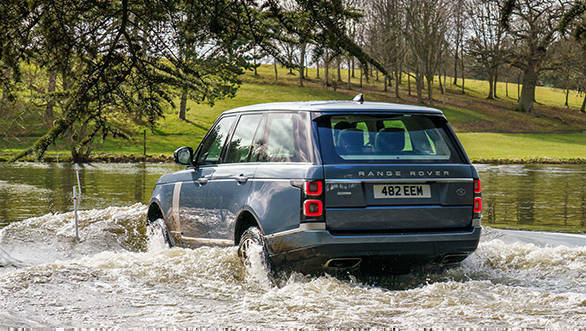 The regular Range Rover can tackle 900 mm of water, and this remains the same for the Range Rover P400e PHEV. To achieve this, the engineers have spent a lot of time on waterproofing the battery, inverter, electric motor and all the other related hybrid paraphernalia. I believe waterproofing has also been done around the front grille, which has a flap under which resides the electric charging port. The instantaneous torque delivery of the electric motor also means you can get out of sticky situations almost effortlessly. The height adjustable suspension, electronically locking differentials, low ratio gears in the transfer case, various four-wheel drive modes, traction control, etc, all make off-road driving a breeze. Interestingly, we were advised against going through water in the electric mode, because if the internal combustion engine is not running, then water can enter the exhaust system and result in severe damage. Out on the open road, the huge Range Rover P400e PHEV, covers distance rapidly and is quick to respond to driver inputs. With both the four-cylinder turbo-charged petrol engine and electric motor working collectively, thrust is instantaneous and overtaking maneuvers are dispatched in a jiffy. But under hard acceleration the small petrol engine does sound like its working harder than it would like. You also don't get the sense of power forever in reserve, like you do in other Range Rovers. As far as features or luxuries or comforts are concerned, the engineers have not been stingy with anything. The Range Rover P400e PHEV comes with everything you may want and more, and there is no sense of cutting out on things to increase the electric motor range. While some may say that this is the reason its range is just about 50 kms, other will surely be happier having all the goodies without any sort of compromise. The one area, in which I felt the Range Rover P400e PHEV could be better, is in the way the brake regeneration system works. The brake pedal feels somewhat squishy and lacks the desired feel and modulation. At low speeds in particular, the brakes suggest they are connected to more elements than they want and display a tendency to grab. What is far worse is the way they sound while working. It's almost like the brakes are waking up the wailing banshees in a forest! As mentioned, the ride quality is outstanding and though body roll is well managed, on some of the tight and twisty roads we drove on in the Cotswolds region, the tall body did lean a bit. 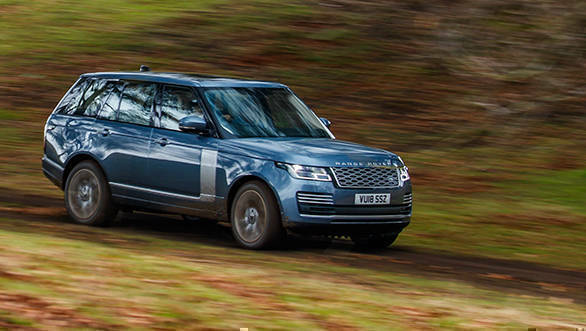 But the immense grip and precise steering still lets you hustle the big Range Rover P400e PHEV, faster than you would imagine and the pace at which distance can be covered is truly inspiring. Given our governments muddled up thinking about hybrids, we don't expect the Range Rover P400e PHEV to reach our shores anytime soon. Which is sad. Because despite being a plug-in hybrid electric vehicle, it still retains all the appreciable qualities of its fossil fueled siblings. And of course, it's more fuel efficient, and thanks to its considerably lower emissions, less harmful to our environment too. Being aware that the P400e PHEV will not be launched in India soon, Land Rover ensured that our journey to the airport was in one that will be available here- the long-wheelbase Range Rover SV Autobiography, which is one of the most luxurious and indulgent SUV's ever. Being chauffeur driven in this mini palace on wheels was a true privilege and all the wealthy and well connected Indians would be well advised that this is one of the most suitable vehicles for them. Simply because it's big, powerful and spacious, with an enviable road presence. It also has the ground clearance and all terrain four-wheel drive ability to keep going in case of broken roads, floods and landslides and all other such manmade and natural disasters. Ideal then for rich Indian's isn't' it.